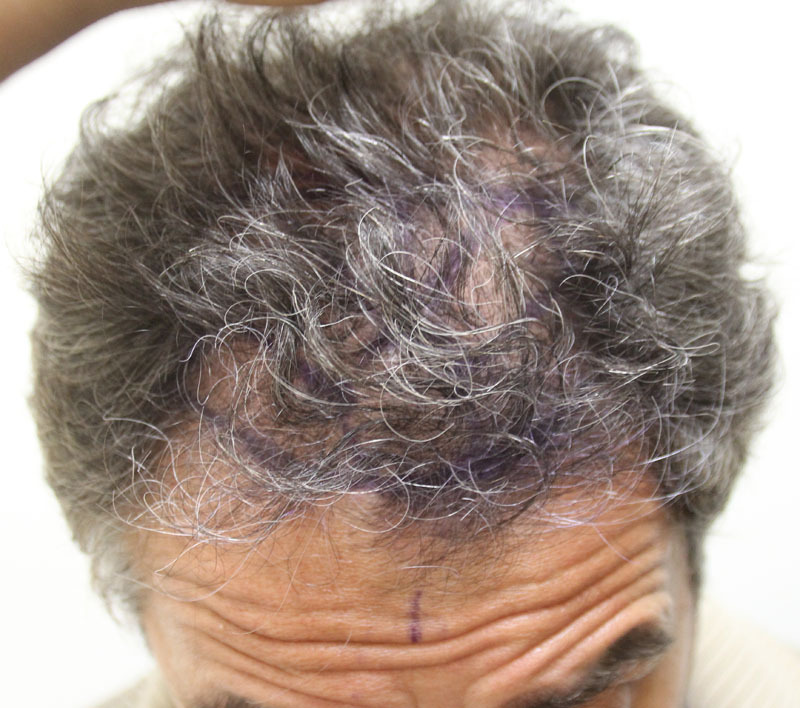 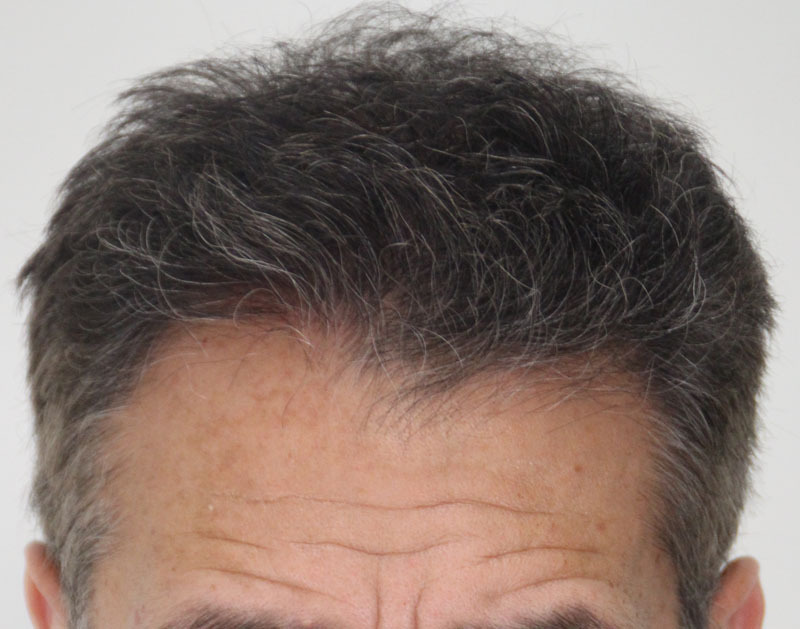 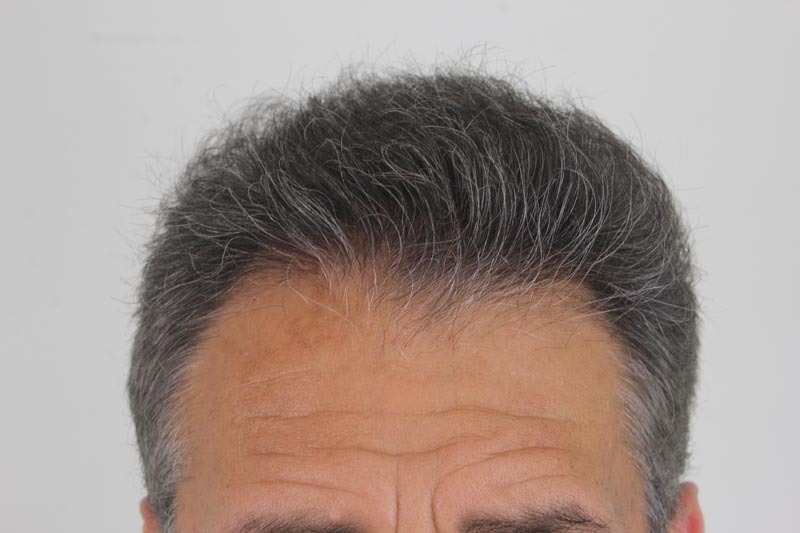 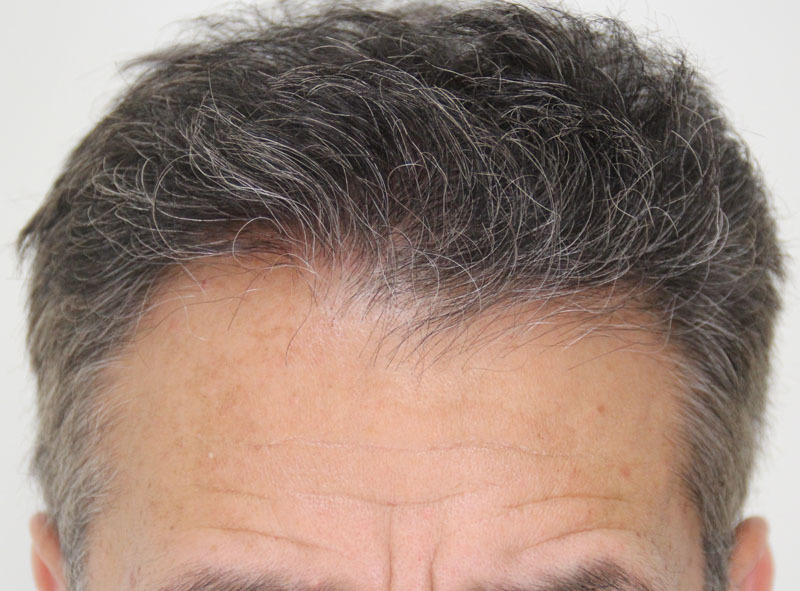 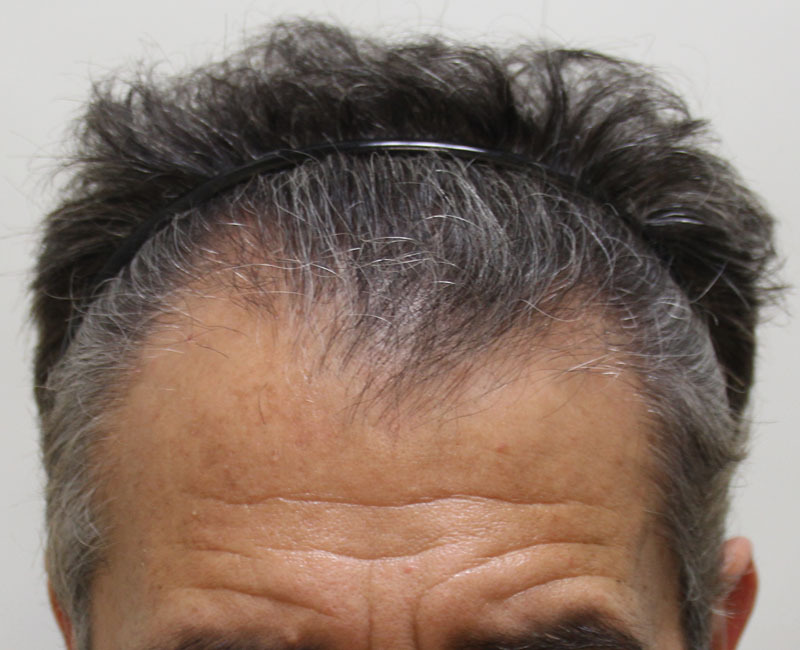 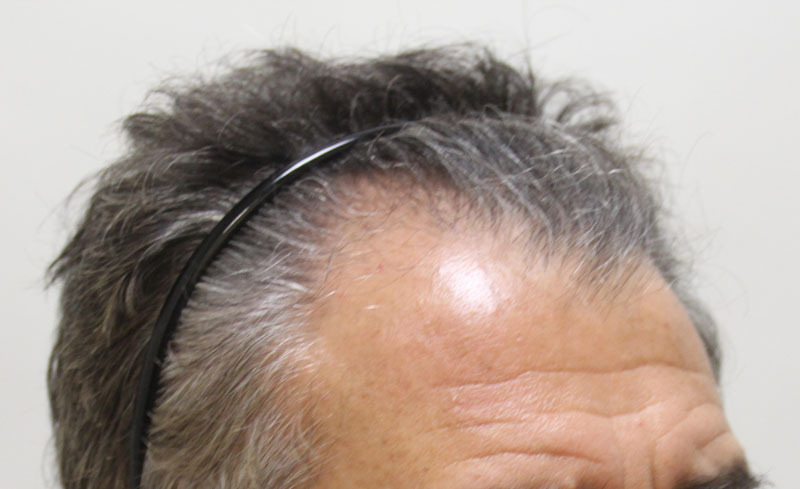 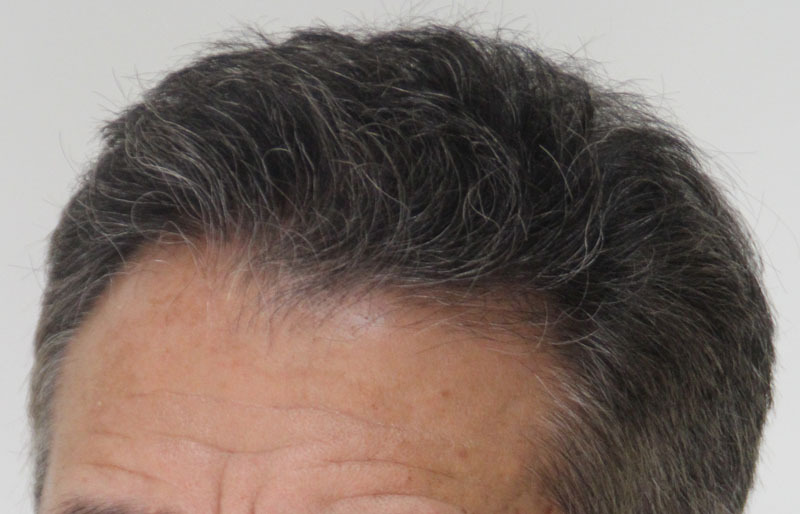 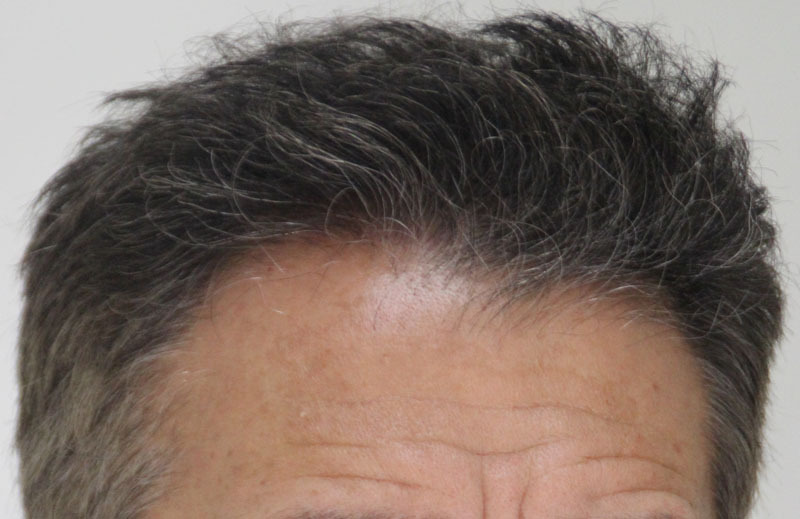 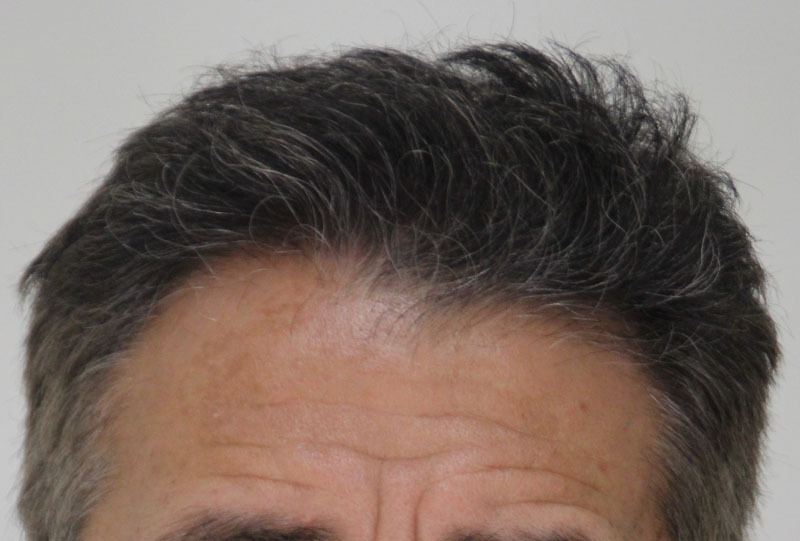 This 53-year-old Norwood 5 came to us looking to achieve Rahal’s natural-looking, youthful hairline. 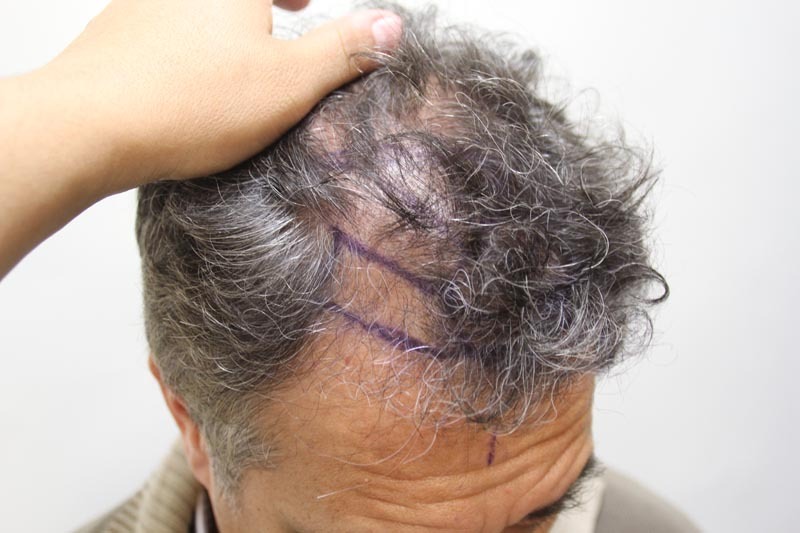 He chose to get Rahal FUE™, with an original estimate of 2500 grafts. 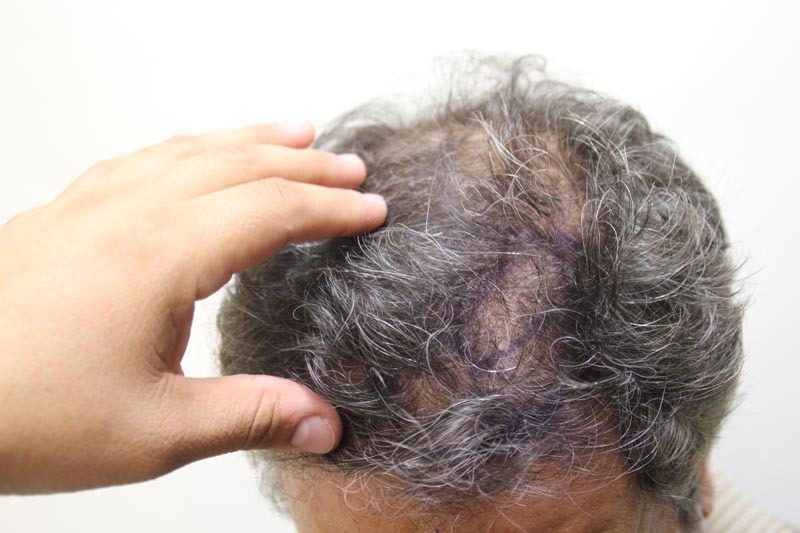 He ended up receiving 2808 grafts for a total of 4691 hairs: 1017 single-hair grafts, 1450 2-hair grafts, 250 3-hair grafts, and 6 4-hair grafts. 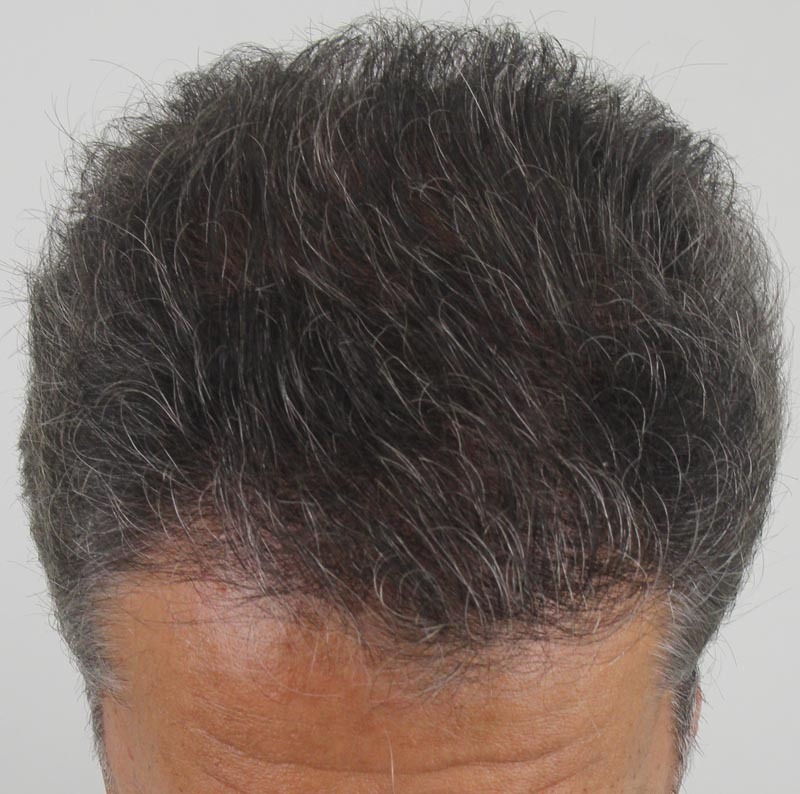 The results you see here were taken at 6 months, meaning 6 more months of growth and maturity for the hairs. 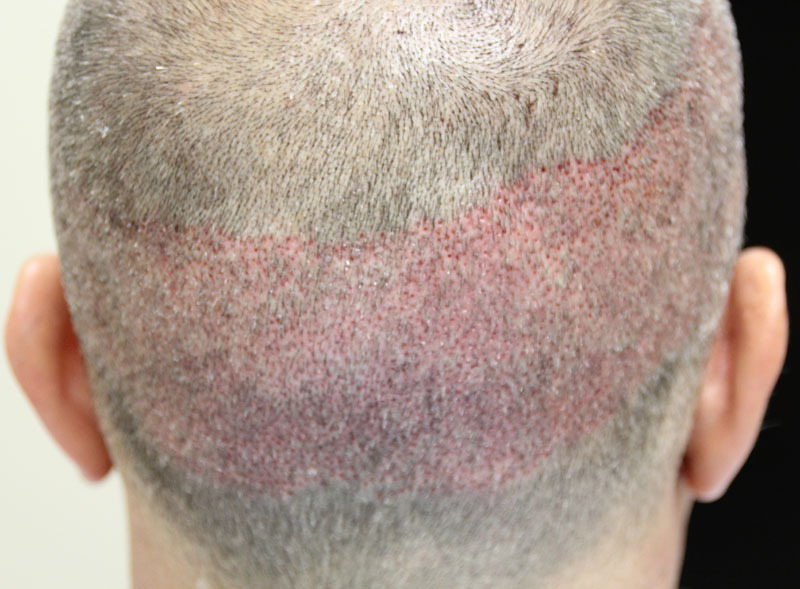 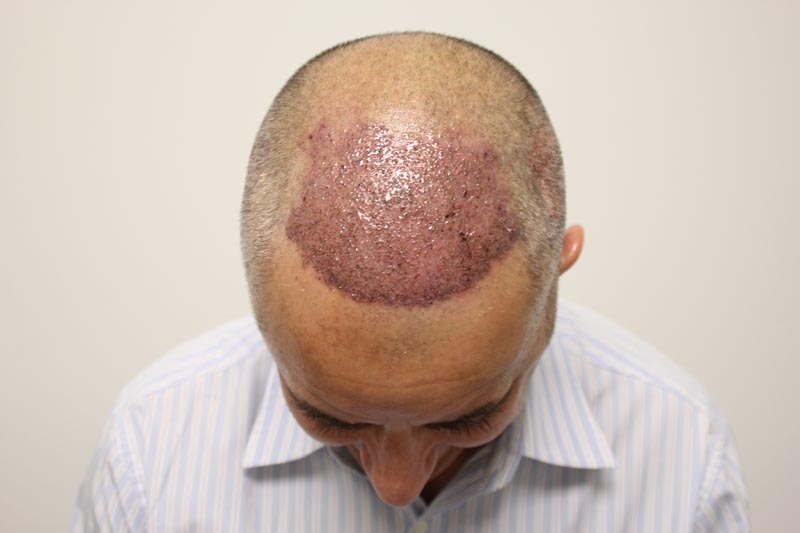 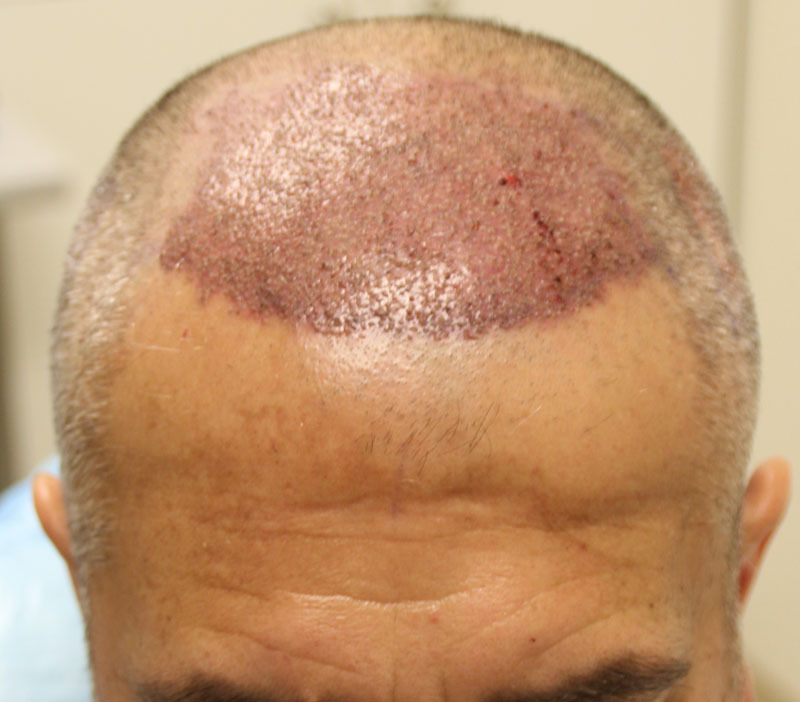 He was so satisfied that he booked a second procedure for another estimated 2000 grafts. 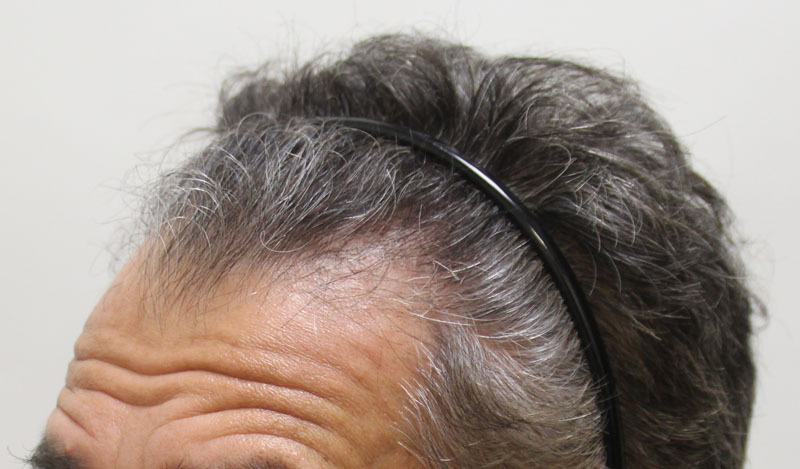 Amazing a Norwood 5 needs hair clips to keep all the hair out of his face.